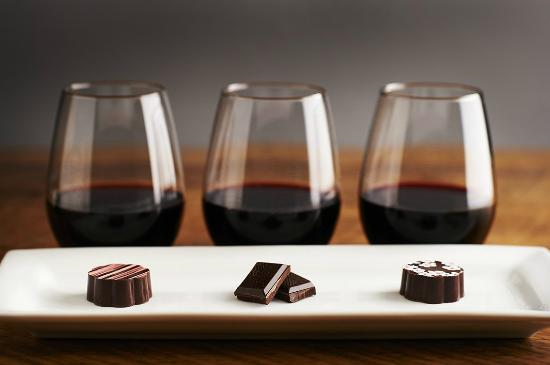 Pairing wine and chocolate can be a contentious point for many wine connoisseurs. The rich, bold tastes of both makes marrying them difficult. 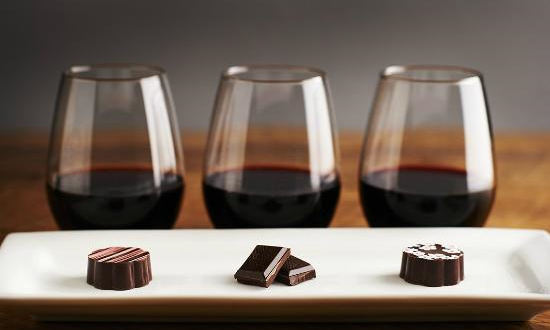 Wine and chocolate have a lot of similarities to each other. For one, they’re both considered aphrodisiacs and they both contain flavanols (antioxidants). Despite these striking similarities, it’s somewhat challenging to pair these two together. For example, if you taste a delicious glass of dry red wine alongside a hunk of dark chocolate, the wine will start to taste bitter and sour. The taste imbalance is coming from the heightened levels of flavanols (different types of tannin) found in both chocolate and wine that end up clashing against each other on your tongue. In order to make sure you can highlight accents of the wine as well as the paired confection, check out the guide below. We also researched a few basic rules that will help simplify the complicated business of pairing tannins with tastes. Chocolate has an array of strong flavors including sweet, bitter, fruity and even acidic. These tastes do not pair well with a standard dry table wine. Regardless of how lovely a bottle of wine it is, after a bite of a rich bar it won’t have any flavor. Try a sweet dessert wine instead! The comparable richness will enhance the taste of both. 1. The wine should be as sweet as the chocolate. 2. Begin pairing by color. The darker the chocolate, the darker the wine. 3. When possible, opt for a high quality chocolate bar. 4. Consider texture as well as taste. The best thing you can do is to start thinking of wine as an ingredient. When you break wine into its basic tastes and subtle characteristics you’ll find affinities to different foods. For example, Zinfandel often exhibits subtle notes of cinnamon and 5-spice powder, which you can use to “season” the flavors in your food pairing. The goal of a great wine pairing is to balance the tastes (sweet, sour, bitter, salty, etc) in the food and wine so that the subtle flavors can beautifully emerge. Whether you are pairing the sometimes subtle, creamy nuances of a delicate white or the lively bold tones of dark cacao blend with a favorite wine, there are a few pairing tips to keep in mind.